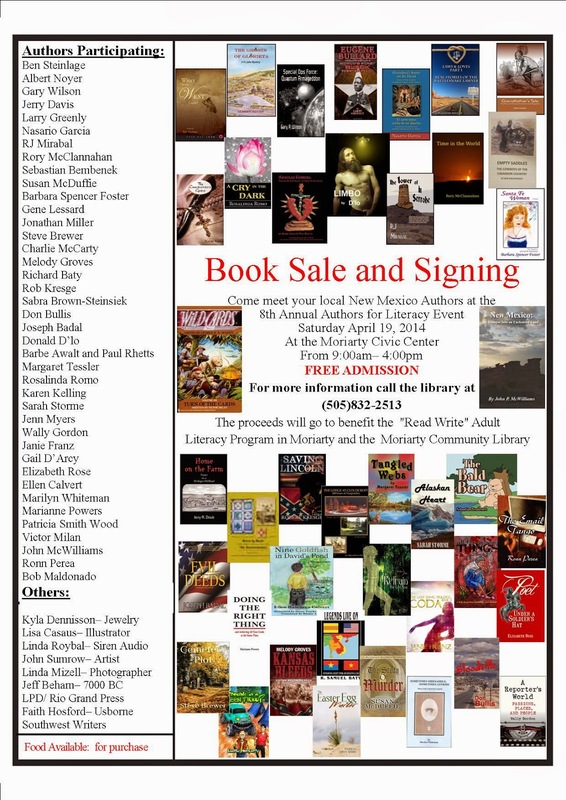 7000 BC will be at the 8th Annual Authors for Literacy Event, an annual event sponsored by the Moriarty Community Library in Moriarty, NM. The event is free, and benefits the Read "Write" Adult Literacy Program in Moriarty and the Moriarty Community Library. For more information, please call the library at (505) 832-2513.